Beautiful car, sitting next to... a Mustang? Really? LOL ! yeah, right? The museum is actually very neat - but a complete mix of years and models. I was there a few years back too. 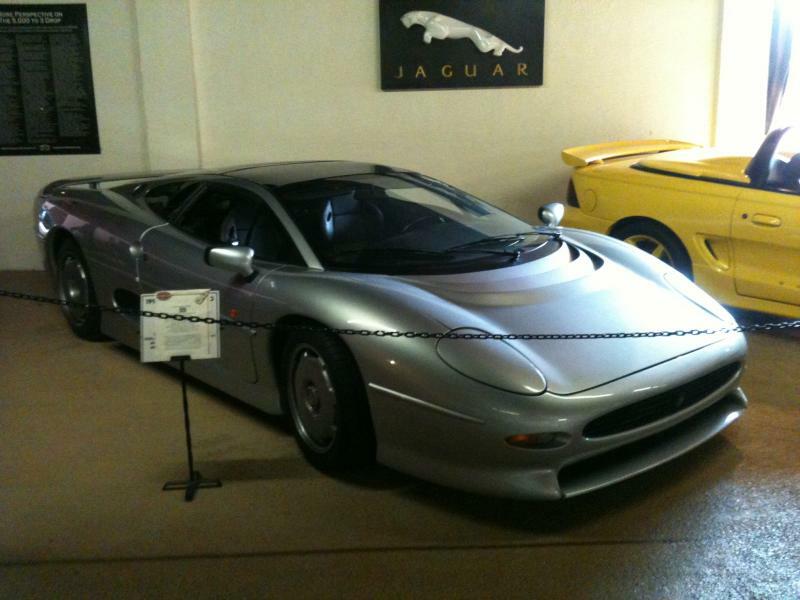 I have an XJ220 in my care and therefore am lucky enough to spend time behind the wheel when it needs.....um.... exercising. Quite a monster in terms of power :-). Yee Haw! Better have both hands on the wheel the the turbos spool up 'cuz things start happening in a hurry! It's a bit of a thrill to drive cars like XJ220s but also nerve wracking. Visibility is terrible, ground clearance is terrible, very loud, etc. Plus the worry of breaking it or shunting it. Not a car that you just get repaired just anywhere. No doubt splendid on a track or wide-open (and non-potholed) roads but otherwise....well...I've 15 minutes I've had enough. Tampa Bay British Car Club Meeting and Lift Day - Lots of info too.